There’s a new guy in town, Flatiron that is, that’s taking the Mexican loving customers from Chipotle to their side of street at 18 West 23rd St. Yep, the name the guys at Chipotle should be a little worried about is Oxido. Well OK, Oxido is the new Mexican resto in town and of course, everyone would like to give it a try. But, the problem is that trying can only be applied to a one time deal. If the Chipotle regulars are starting to frequent Oxido more then, there is really something more to it than just a curious circumstance. This matter definitely needs more visual and some finger licking investigation. Both are offering the defining Mexican menu of tacos, burritos and bowls. At the moment, Chipotle is offering a little but more as there are no salad options at Oxido. Maybe Chef Jesse Perez thinks that the Mexican standoff won’t include salads as a prominent decider, who knows? There might be some wisdom in that so let’s get to the things that really matter. Chipotle has lots of beans and cheese. Cheese lovers can’t say their tacos needs more but the beans have a tendency to be dry. Chipotle plays it safe by giving 3 tortilla options. You can have it in soft flour, soft corn or crispy corn. Oxido may have a bit less cheese but, the cheese is spread a little bit more evenly because of their shorter grate, at least every bite will include a cheesy flavor that’s more than just noticeable. 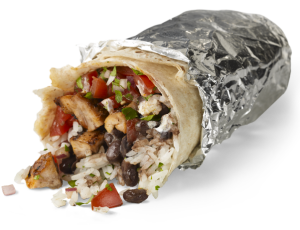 The basmati rice in their burritos tastes better and has more volume. And wow, the charro pinto beans are bacon. You know you can never go wrong with bacon. The only tortilla option is soft corn but, the bacon charro pintos scored the points in the taco burrito category. People keep on coming back to Oxido for that bacon. Some are saying that Oxido’s meat is more tender and juicy and that Chipotle’s is a little more home cooking. These comments are expected. The guys at chipotle should not take that so bad because what can you expect from a new entry. Of course, people will say it’s a breath of fresh air because that’s exactly what it is; new. The only way Oxido won’t get that positive feedback is if their meat is really very bad. Otherwise, customers will always welcome the new taste. The problem with public opinion is that you can’t really rely on what you hear unless you are able to talk to everyone and tabulate the scores. We won’t even attempt to get to that project because that would be impossible. If we stand outside their venues and get the comments from there then, it would only be biased. Of course, people leaving Chipotle will say that Chipotle is better, that’s why they are just leaving or entering the place. Or, they may not be aware that Oxido is in town to even be able to give a comparison. The same will be true if we try to get opinions from people leaving Oxido. If it’s their second or third time to eat at Oxido then, they probably love it better than Chipotle. Or, they might have not tried Chipotle at all. At this point, let us not discuss who’s better than the other because Oxido has to prove its worth first before they can reach the level of comparing themselves to something that has been there ahead of time. Chipotle has been in the area long enough for people to be tired of them and yet they are still packing their seats. Oxido is also packing it but, they’re too new to really tell if the adoration and patronage will last. At this point anything new will always be welcome but, as the same with all fads, all the fanaticism can dwindle away in time. At the moment, Oxido is not developing their menu to be as comprehensive as Chipotle. Maybe they want to establish their taste first. But eventually, taste will just be a matter of variety. People will be bouncing from one taste to another. Oxido has to build up its menu and make sure that everything available in Chipotle or any other Mexican restaurant that will suddenly spring out will be available in their menu as well so that they won’t miss out on the other dishes’ patronage. It doesn’t really matter which is better because taste will always be relative. The only thing that can beat you in this game is unavailability. That is what Oxido has to work on. In the case of Chipotle versus Oxido, it doesn’t really matter what people are saying. The only thing important is that people are talking about them. Both restaurants will get businesses for the same Mexican food lovers on rotation. What’s important is for people who don’t really like Mexican to be caught in the debate on who’s better. That’s when they become interested. That’s when they’ll try to answer the question themselves. That’s when both Chipotle and Oxido will get their business and win.